Second-youngest of fifteen children of Blaise Chaminade and Catherine Bethon; a deeply religious family, three of his brothers were also priests. Took the name Joseph as his Confirmation name, and preferred it to William. At age ten he went to the College of Mussidan where one of his brothers was a professor; as student, teacher, steward, and chaplain, William remained there for 20 years. Priest during the persecutions and violence against the Church of the French Revolution. He refused to swear allegiance to the Civil Constitution of the Clergy in 1791, and was forced to minister to his flock in secret. 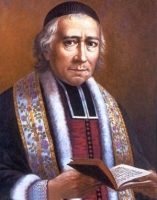 Beginning in 1795, he had the job of receiving the returning priests who had taken the Civil oath, but later saw their error; he helped about 50 reconcile with the Church, and return to work in the diocese. Exiled to Zaragoza, Spain from 1797 to 1800 during the French Directorate, the only time he lived anywhere outside his native Bordeaux. 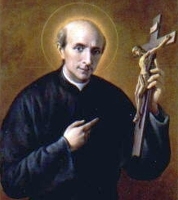 Near the shrine of Our Lady of the Pillar, Chaminade received a message, telling him to be Mary's missionary, to found a society of religious to work with her to restore the Faith in France. On his return to Bordeaux in November 1800, he founded the Sodalities of Our Lady. Chaminade's concept of the Sodality was to gather all Christians - men and women, young and old, lay and clerical - into a unique community of Christ's followers unafraid to be known as such, committed to living and sharing their faith, dedicated to supporting one another in living the Gospel, working under the protection of the Virgin Mary. To the usual religious vows of poverty, chastity, and obedience, the Marianists add a fourth vow of stability, faithfulness to the congregation, and special consecration to Mary. As an outward sign of this fourth vow, they wear a gold ring on their right hand. Apostolic Administrator for the diocese of Bazas. Named Missionary Apostolic by the Vatican in 1801. As his own insights developed, Chaminade saw the Sodality as the Marianist Family, dedicated to sharing Our Lady's mission of bringing Christ to the world. It was characterized by a deep sense of the equality of all Christians, regardless of state of life, by a spirit of interdependence, by concern for individual spiritual growth, and by the desire of presenting "the amazing and attractive reality of a people of saints." Some Sodality members later formed the nucleus of the Daughters of Mary Immaculate, founded by Adele de Batz de Trenquelleon and Father Chaminade in 1816, and the Society of Mary, founded in 1817. The institutes grew, and members began teaching in primary, secondary, and trade schools. Father William tried to start a network of teacher's schools for Christian education, but it failed due to the 1830 Revolution. In 1836, the Daughters of Mary established rural schools for women throughout southwestern France. The Society of Mary spread into Switzerland in 1839, then into the United States, becoming established in Dayton, Ohio in 1849, the Marianist Sisters in Somerset, Texas in 1949. Friend of Saint Valerius of Saragossa in Spain, and served as his deacon. Imprisoned and tortured in Valencia, Spain for his faith during the persecutions of Diocletian; part of his time was spent being burned on a gridiron. While in prison, he converted his jailer. Was finally offered release if he would give up the scripture texts for burning, but he refused. Martyr. Acts written by the poet Prudentius. Born into an ancient noble Hungarian family, the sixth of ten brothers. His family moved to Austria when he was six years old, and his mother died when Ladislao was twelve. When of age he studied agriculture, chemistry, physics, philosophy, literature, music, and medicine at the University of Vienna, graduating with a medical degree in 1900. On 10 November 1898 he married Countess Maria Teresa Coreth, a pious woman, and the couple had thirteen children; the whole family attended Mass and prayed the Rosary every day. In 1902 Ladislaus opened a private 25-bed hospital in Kittsee, Austria. He worked there as a general practitioner, and when he had sufficient staff, specialized as a surgeon and eye doctor. During World War I the flood of injured soldiers required him to expand the hospital to 120 beds. In 1915 Ladislaus inherited the castle of Körmend, Hungary, and with it the family name Strattman and the title of Prince. In 1920 he moved his family to the castle, and turned one wing into a hospital specializing in eye diseases. Ladislaus' skills led him to become an internationally known specialist in opthamology. Dr Ladislaus never turned away a patient because they could not pay, and provided funds to the destitute. He treated all, kept them in hospital as long as necessary, gave away medications, accepted what patients would pay when they would, but never asked a fee from anyone except that they pray an Our Father for him. He prayed over each patient before working on them, knew that his skills were simply God working through his hands, and saw his family fortune as a way to help the poor. He was considered a saint in life by his family, his patients and fellow healers. Daughter of Jose Domingo Vicuña and Mercedes Pino. Her father was a soldier, and Laura was born three months after the outbreak of civil war in Chile. With her husband in arms, and herself and her infant in peril, Laura's mother moved across the Andes to raise the girl in Las Lajas, Argentina. Laura's father was killed soon after, and to survive, Mercedes became the mistress and common-law wife of a man named Manuel Mora. Mora paid for Laura to attend a boarding school run by the Salesian Sisters, where the girl was extremely happy and helpful. She made her First Communion on 2 June 1901, a decisive moment in her life. "Oh my God, I want to love you and serve you all my life," she wrote in her notebook. "I give you my soul, my heart, my whole self." She tried then, at age ten, to join the Salesians, but her bishop recommended that she wait. Home for Christmas holidays, Laura had to fend off the repeated amorous advances of Mora, finally being forced to flee the house to avoid him. She prayed to be spared the life her mother was leading, offered her own life if they could escape from it, and asked her confessor again for permission to join the Salesians. Because he knew of that no matter how inconvenient it was, Laura had a true call to the religious life, he permitted it. She joined the Sodality of the Children of Mary on 8 December 1901. In late 1903, Laura became severely ill, and returned to her mother. On 14 January 1904, in a drunken rage, Mora began ordering the mother and daughter around. Laura tried to run from the house, but Mora caught her and beat her unconcious. Though she recovered conciousness, Laura never recovered her health, dying eight days later from a combination the disease and abuse. When Mercedes learned of her daughter's offer to die for her, Laura's mother left Mora and returned to the Church. Born to the Italian nobility. Priest. Taught theology. He lived in constant danger working with the sick during a cholera epidemic. Highly successful fund-raiser for charities for the poor. Founded guilds for workers, agricultural schools, loan associations, orphanages and homes for girls. Felt a strong calling to bring Christ to Muslims, and founded a program to incorporate lay people in the apostolate of priests. Founded the Pious Society of Missions (Pallottines) for urban mission work. Started the special observance of the Octave of Epiphany for the reunion of the Eastern and Roman Churches, and the return of the Church in England. Son of a carpenter. Franciscan tertiary. Priest in the diocese of Verona, Italy, ordained in 1874. Elementary school teacher at San Pietro di Lavagano, Italy for three years. Parish priest at Castelletto del Garda, Italy, an area that was poor and very removed from the modern world. He worked to improve living conditions, bringing in better plumbing and electrical service, connecting them to the outside world by mail and telegraph, and started a craft school; he even did part of the brick work on the new parish church. Founded the Little Sisters of the Holy Family to help with his work when the Ursulines were unable to work in his parish; when the Little Sisters received papal approval in 1909, they already had 64 houses and 320 sisters working with the sick and elderly; they continue their good work today in several countries. Father Giuseppe suffered from a stroke in 1916, and spent his final five years in a wheelchair. Born to the nobility, the daughter of Wandrada and Duke Garibald I of Bavaria. She married King Authari of the Lombards in 588 in an arranged, political marriage, and was widowed in 590. In 591 she married Agilulf of Turin who ascended as the new king of the Lombards. Theodolinda devoted herself to restoring orthodox Christianity against the heresy of Arianism. She helped convert Agilulf to Catholicism from Arianism, and the two donated great wealth to existing churches, funded new churches in the Lombardy and Tuscany regions, and helped forward the work of Pope Saint Gregory the Great and Saint Columbanus of Bobbio. 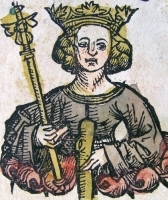 Mother of Prince Adaloaldo in 603. Widowed again in 616, she served as regent during a period of great political turmoil until Adaloaldo was an adult. Bishop in Gaul (modern France) in the late 4th and early 5th century. When his region was invaded by Vandals c.407, Olcese fled to a village in the Liguria area of modern Italy; the town is today known as Sant’Olcese. There he lived as a prayerful hermit, and worked to convert the people of the region. 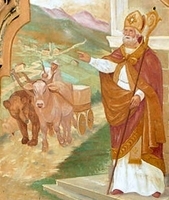 Legend says that a bear once killed one of a pair of oxen that were pulling a cart of building materials for Saint Olcese. The bear then turned to attack Olcese, but the saint blessed the bear, made the sign of the cross over it, and the animal took the place of the ox it had just killed. The bear and the remaining ox then hauled the materials to the site where Olcese used them to build a church. Pagan magician. Soldier in the army of Persian king Khusrow II during the campaign that brought the Holy Cross from Jerusalem to Persia. Magundat was so impressed by the obvious power of the relic, and the devotion and sanctity of the Christians who flocked to it, that he converted to Christianity, left the army, took the name Anastasius, and became a monk in Jerusalem. After seven years of prayer and solitude, Anastasius returned to Persia to convert his countrymen. He was soon arrested for his faith, and was promised high honours if he would deny Christ and return to the service of Khusrow; he declined. Martyred with about 70 other Christians whose names have not come down to us. By age 25, Maria had been married twice, to Baccio Mancini and them Guillermo Spezzalaste, widowed twice, and saw all seven of her children die in childhood. She became a spiritual student Saint Catherine of Siena and took the veil of the Dominican Third Order at the Holy Cross monastery in Pisa, Tuscany, Italy. Discipline there was lax, and many of the sisters were more meddlesome than holy. Maria was soon the leader of a small group of young, pious but timid sisters, all of whom moved to the new monastery of Saint Dominic in Pisa. Maria assisted its founder, Blessed Chiara Gambacorta, to make the house an example of the Domincan religious life. Prioress of the house for ten years. Received visions of the wounded Jesus. Educated in Barcelona, Spain where he joined the Dominicans. Priest. Missionary to the Philippines. Missionary to Vietnam in 1732. Spent nine years in prison for his faith during which he converted fellow prisoners and supervised evangelists on the outside. Martyr. Convert. Priest at Ivrea near Turin, Italy. Friend of Saint Laurence of Novara, Saint Eusebius of Vercelli and Saint Ambrose of Milan. 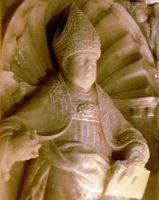 Bishop of Novara, Italy from 398 until his death, serving for nearly 20 years. Legend says that after his death, the corpse began repeating sermons Gaudentius had given so that his priests could write them down and continue to use them. Studied at Rheims, France. Ordained in September 1587. Returned to England in 1588 to minister to covert Catholics. Arrested in Clerkwenwell, England in December 1591 at a private home where he was saying Mass. He was condemned to death for the crime of priesthood. While in awaiting his execution, he ministered to other prisoners, and converted six of them to Catholicism. Bishop of Zaragoza, Spain from 290 to 315. Attended the Council of Iliberis. Imprisoned and then exiled during the persecutions of Diocletian, but returned to his see after the Edict of Toleration. Friend of Saint Vincent of Saragossa, who served as his deacon. Dominican priest. Missionary to the Philippines, and then to Vietnam. Martyr. Benedictine monk at Glastonbury Abbey. Bishop of Ramsbury, England in 1005; he served for 40 years. He eventually moved his see to Old Sarum (modern Salisbury, England). Benefactor of Glastonbury and Malmesbury abbeys. Given to visions, and had the gift of prophecy. Knight in the Third Crusade, and frequent combatant in royal jousts. Benedictine Cistercian monk at Himerrode (in modern Germany). He served his house as guest master, confessor to his brother monks, and as a gentle example to all who met him. Franciscan Capuchin priest. Murdered by Marxists in the Spanish Civil War. Benedictine monk and abbot. Founded nine monasteries in in the kingdom of Naples (in modern Italy) including Scandrilia, Sora, and Sangro. Daughter of Saint Paula. Friend and spiritual student of Saint Jerome. Married in her teens to Furius, son of Titiana; widowed after only seven months, after which she consecrated herself to God. Student of Hebrew. 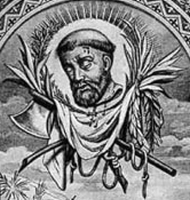 Brother of Saint Orontius of Puigcerda. Missionary in the Pyrenees, working with Saint Orontius and Saint Victor of Puigcerda. Martyr. Brother of Saint Vincent. Missionary in the Pyrenees, working with Saint Vincent and Saint Victor of Puigcerda. Martyr. Missionary in the Pyrenees, working with Saint Vincent of Puigcerda and Saint Orontius of Puigcerda. Martyr. Dominican bishop who restored monastic life and discipline in the region of Como, Italy. Monk at the Saint Saba monastery near Bethlehem.